Providing you the best range of coir dust block press with effective & timely delivery. We specialize in the production of Coir Dust Block Press having production capacity of 4-15 bales per hour. 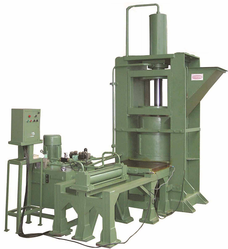 Our range encompasses coir fibre bailing press, coir pith press and many more. These hydraulic presses are fabricated in sync with industrial standards and can be availed in customized specifications.